Important! If you signed up there is no refund for the program you have committed to participate. However, your place can be taken by another person who in return might refund you. Crime is very serious business. And contrary to our attempts to deny that it will ever “happen to me”, the reality is that each and every one of us can become a victim of crime. The question is, do you deny that this is a possibility or do you address the situation and prepare yourself for the possibility? Well, get prepared. Nothing will make you invincible. We all have our weaknesses. But by being better aware, educated and prepared, you can significantly reduce your exposure and risk to becoming a victim. 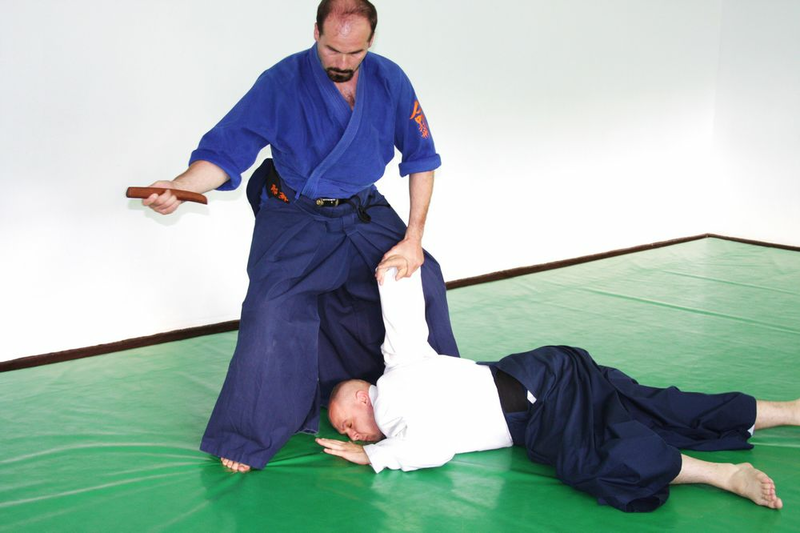 YAMA courses in self-defense uses the elements of practical unarmed self-defense that are found in; Aikido/Aiki-jujutsu/Tai-jutsu, Jo-do (staff/umbrella fighting), and some elements of T'ai-Chi. We call it shortly: “Yeshua-Do”, which means; “The Way of the Peaceful-Warrior”. So, we offer a very modern approach to personal self-defense and the inner power that makes life work well, based on ancient protector disciplines passed down from noble Japanese samurai-warrior families. Our Program is focused on teaching women and teenage-girls a practical self-defense as priority and overcoming intimidation or bullying, and “victim syndrome”. 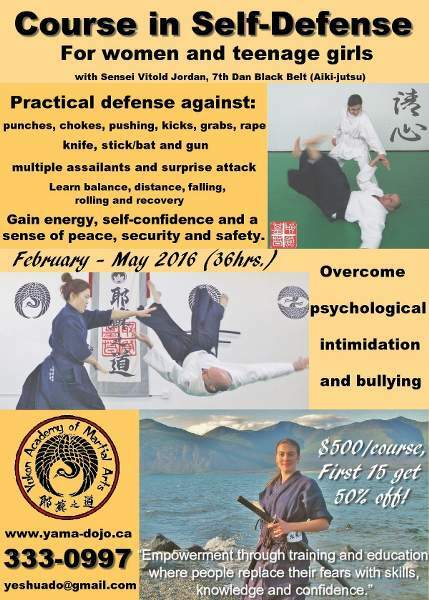 Disciplined training under an expert teacher in an authentic self-protection martial art is the key to personal preparation for facing conflict and confrontation that can surprise us in the course of daily living. 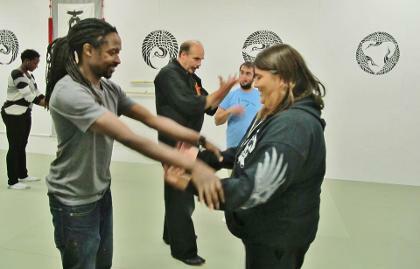 Our philosophy is: a non-violent approach to the conflict resolution through non-aggressive, non-competitive martial arts, so, the basic movements of “Yeshua-Do” are circular and fluid in nature and a student harmonizes with, rather than aggressively confronts the attack, and then converts it into a circular motion that renders attackers helpless. Instead of using potentially crippling locks (Ju-Jutsu/wrestling), or punches and kicks (Karate/Tae-kwon-do/kung-fu), a student trains to apply various painful wrist-locks, arm pins, or unbalancing throws to neutralize aggressors successfully without serious injury. So, in the technique of the Art, which do not depend much on physical strength, a student is taught to stand with his opponent fearlessly; to blend with him and to enter into his aggressive force (attack), turn it against him, and then neutralize it. This kind of defense is not easy to learn but through commitment, self-discipline, and patience all is possible. Properly executed some techniques are very spectacular, sending an opponent flying through the air. Others are like sleight-of-hand, small deft movements that immobilize the aggressor immediately. Both results are achieved through precise use of leverage, inertia, gravity, and the action of centrifugal and centripetal forces. Ultimately, it is the energy of the attack itself which brings down the opponent. In fighting you are not waiting to be attacked, instead, you make yourself unavailable to the opponent. A well-trained student can be compared to the eye of the tornado; in the midst of the attack she is calm and serene, yet perfectly capable of rending one or more assailants completely helpless. Although we should not depend only upon physical strength, we should not underestimate physical power either. In “Yeshua-Do” all body techniques emphasize the importance of flexibility and blending with an attacker. When you practice with someone, the purpose is to adjust yourself to that person, without trying to force others to adjust to you. In doing so, you can lead an opponent into your own circle or sphere, thus victory comes easy, without striving. 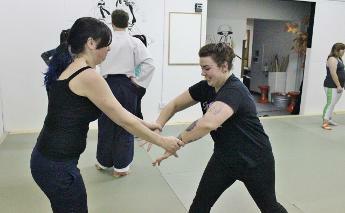 This effortless strategy of self-defense conveys the words of ancient masters, “You and your opponent must become one. There is a coexisting relationship between you and him. You coexist with your opponent and become his complement, thus absorbing his attack and using his force to overcome him”. But, the main purpose of “Yeshua-Do” practical self-defense is about not being there when the attack comes; avoiding conflicts before can happen. Worthy to notice, because in the first place, “Yeshua-Do” does not depend much on physical strength as the source of power, it is especially attractive to women, children, and older people; meanwhile, the young, healthy and strong can continue to practice with vigor and power, and improve well into an old age. "The Way Of The Warrior Is To Stop Conflict Before It Starts"